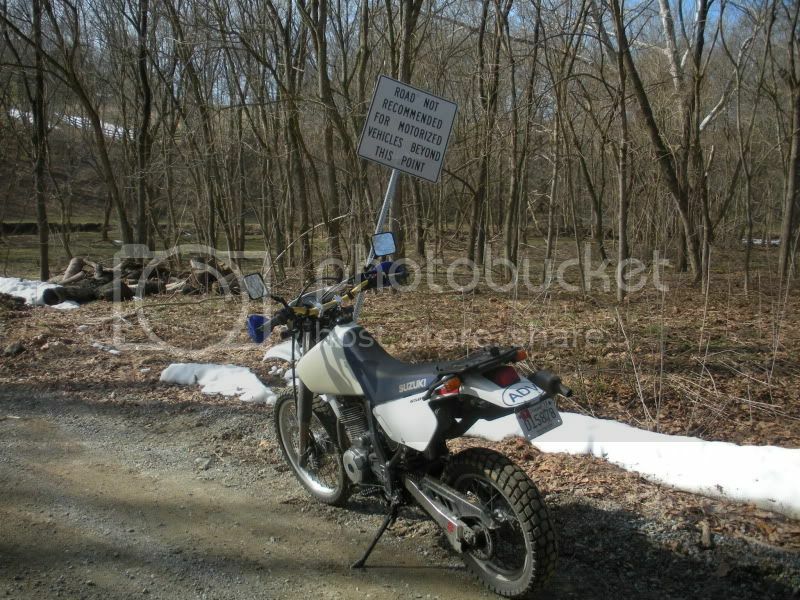 Beaverdam Ford - DAMN Riders - No rules, Just ride! I haven't crossed it yet, but checked it out yesterday. I'm not sure how far the DAMN region stretches, but it's out in VA in Philomont, southwest of Leesburg. It's on the west side of Jeb Stuart Rd off Snickersville Turnpike, which runs through some nice farmland. Last edited by badguy on Mon Apr 05, 2010 9:25 pm, edited 2 times in total. I decided not to cross. The 'stream' is all the way in the back of the picture and was running like a major river. 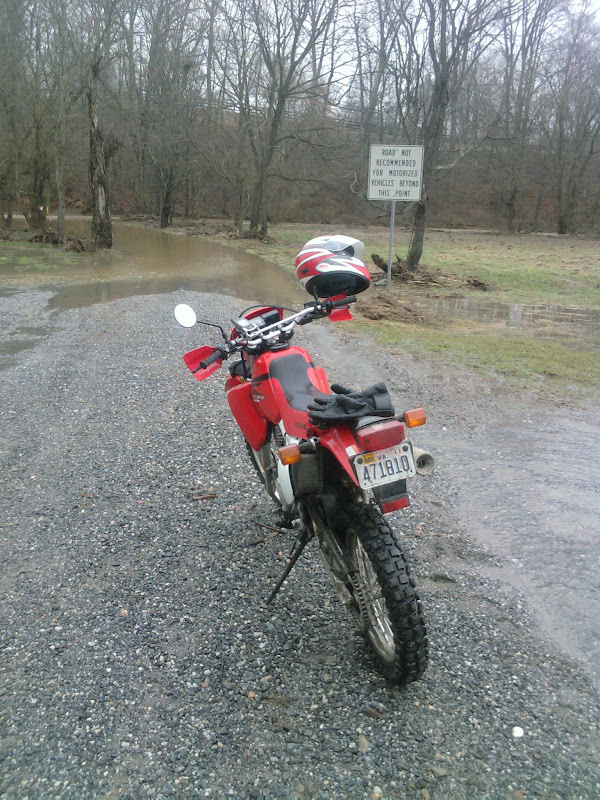 I did find plenty of other water crossings though - unintentional ones from the flooding. Biggest I went through was on Oatlands Rd right before it hit Route 15. Road was flooded about 50-60ft wide and 2ft deep. Didn't stop to take a picture though. WOW "little flooded" is an understatement! I think I got a picture near the "not recommended for vehicles" sign too...I'll post it up for reference. Awesome. Love the sign. Don't let Grady or Kyler near that. They would splash all the water out in no time. 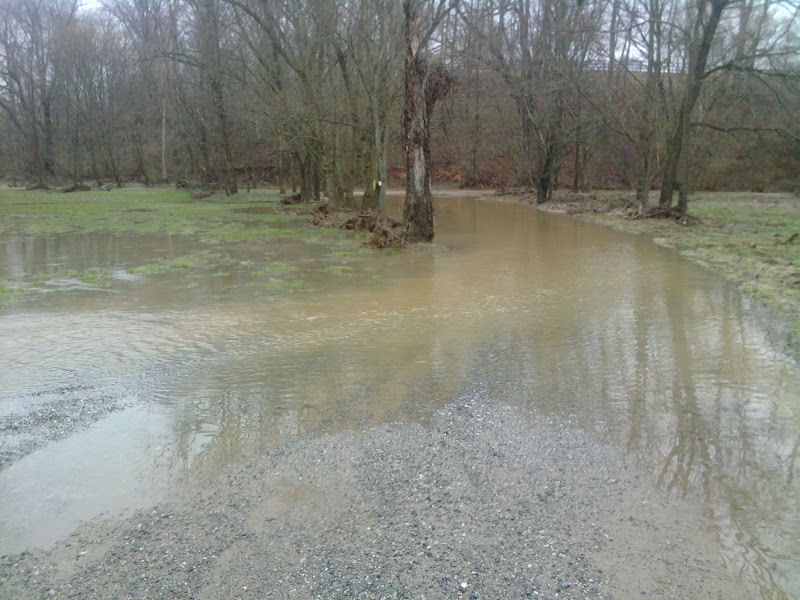 There is a road in Brookville, just North of Olney in Montgomery County that floods pretty bad at this bridge. There will be 3 feet of water and some guy in a Honda Civic will try to cross it... I always get a kick out of it. 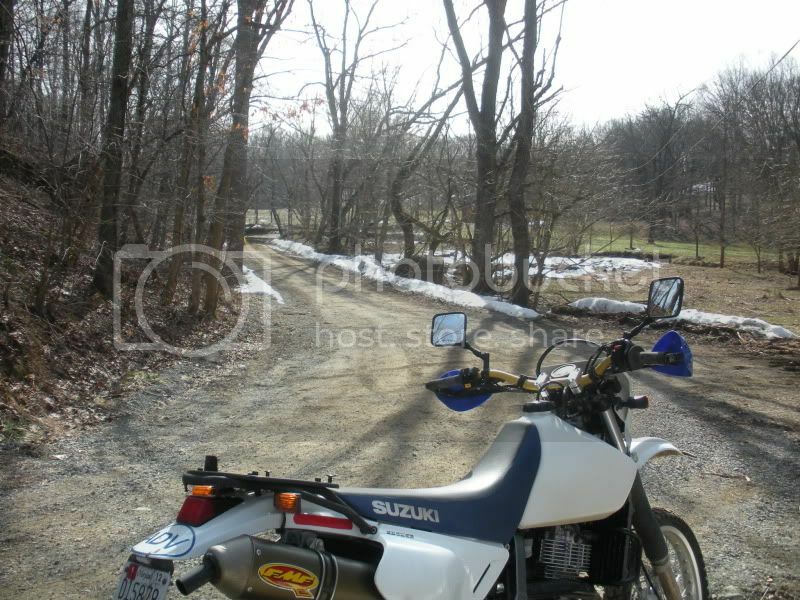 That used to be part of my daily commute from Germantown to the MVA in Glen Burnie on the GS. I rode through it one day as the fire department was coming from the other side. I wasn't paying much attention to them until I crossed, but they had lines and poles out, as well as a camera documenting my impending doom! I'd crossed it that morning, and as long as you started out as far up river as possible and planned on giving up ground it was easily doable. Certainly not the worst crick I've ridden across. Anyway they chastised me quite a bit. I hadn't realized how many cars have been swept off the road there, including a few drownings? That's from the 7th. There was a lot less water, the bike is in the same spot for both pics. I need to break my fording cherry and stop being a wuss...I probably could have made it. badguy - looks like maybe you're at the sign on the other side of the ford? I was coming in from the east (from Snickersville Tpke) - were you coming from the west - St. Louis/Unison? Looks very different though - amazing to think what a difference the snow melt and rain makes... Been dry all week and in the 70's on Saturday, so maybe time for another run at it? I took the picture on Jeb Stuart Rd as I was heading west from Snickersville. It sounds like we were going the same direction, but we were definitely in two completely different places Were you on Beaverdam Bridge Road?